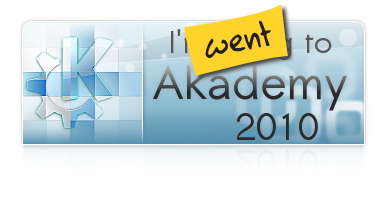 The talk we gave at KDE Akademy was entitled Wikimedia User Experience programs: lowering the barriers of entry. Basically, we presented the work done as part of the Wikipedia usability initiative, and the Multimedia usability project. It might seem odd for Wikimedia to be presenting at KDE Akademy: Wikimedia is mostly about online content, while KDE is mostly about desktop software. Yet, they share common goals & values. On the one hand, a common criticism made against KDE is its feature creep: the tendency to allow for maximum customizability in KDE often comes at the price of simplicity and ease of use. On the other hand, MediaWiki, the software on which rely Wikipedia and the other Wikimedia websites, suffers from the same flaws: it has always been "designed" by developers. As a consequence, the interface reflects the implementation model, and often doesn't match, or even conflicts with, the user's mental model. The Wikimedia Foundation recently started to include user research and design as part of their development cycle, where user experience is taking a increasingly critical role. Our presentation at Akademy was an opportunity to share experience. Both KDE and Wikimedia communities struggle to improve complex interfaces, and both communities have a lot to learn from each other. Wikimedia and KDE also have more practical ties: Wikimedia Deutschland e.V. and KDE e.V. used to share an office a few years ago. I'll take this opportunity to thank Claudia Rauch for inviting us to submit a proposal for Akademy this year. Thanks to KDE e.V. and their awesome volunteers, the full video of our talk (and the follow-up discussion) is available, along with all the other videos, from the Akademy schedule page. A slightly edited version is also available from Wikimedia Commons; you can also download the file to your computer (Download - OGV, 162 MB). Or, you can watch it below, if it works. The presentation slides aren't very useful alone, but they're also available on Commons if you want to take a look or watch them alongside the video (Download - PDF, 2.2 MB). I've had some interaction with the KDE community before. I used to live in the same city as one of the lead KDE developers, and we belonged to the same LUG. I'm also familiar with the digiKam community, with whom I've been working on and off. 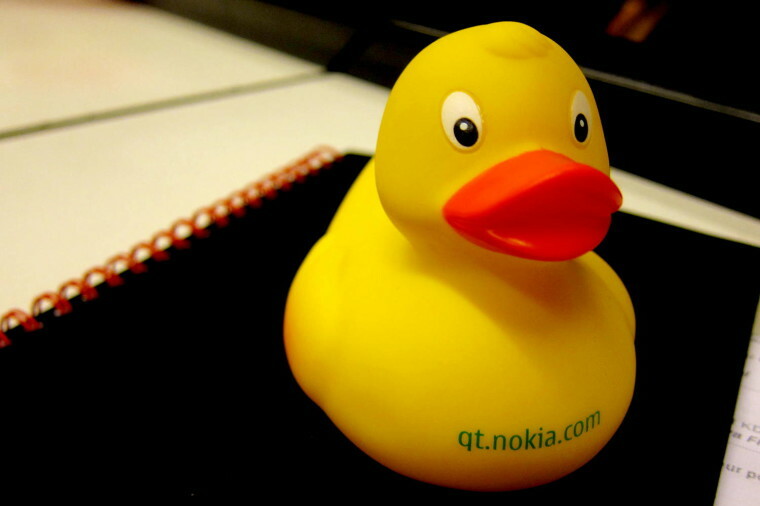 Besides our presentation, Akademy was also an opportunity to get together with the "gearheads", to discuss collaboration opportunities, and of course to get my debugging duck. We had planned to hold a more hands-on workshop to discuss practical common projects between the two KDE & Wikimedia communities. Unfortunately, I had to leave Tampere early to fly to Gdańsk for WikiSym & Wikimania. I didn't have much time to explore the city either, which is a pity; Tampere is a quaint little city, and the surroundings looked really charming. I would still like to work on common projects, as I think there's a huge potential for a better integration of Wikimedia websites with the desktop. Since I've been thinking about this for a while, I have a few ideas of my own: mass upload tool, offline wiki editor, desktop widgets (e.g. for Wiktionary, FAOTD, POTD), application plugins (e.g. to find media files from Commons from within an application), instant messaging with other Wikimedia editors, etc. That said, I would also like to collect ideas & feedback. So, what Wikimedia content would you like to access from your desktop? For what use? What desktop tool would facilitate your editing or reading of Wikimedia projects? There is an extension for OpenOffice to search in Commons and insert pictures with byline with just one click into your document. It needs more work, but it is a good start. I want kflickr but for Commons. Every release cycle or so, I give KDE another shot, and then run as fast as I can back to GNOME. I guess a lot of people probably have that experience with MediaWiki (except that they have no where to run back to).